(16.19%) per year by bundling their auto and homeowners insurance. 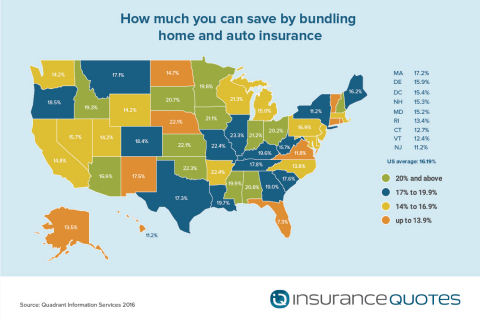 by state, and can help many consumers save more than $500 per year. when using separate providers could be a better option,” added Adams. condo and renters data—is available at http://www.insurancequotes.com/home/bundling-your-insurance-for-savings-092016. 60-70% of market share) in each U.S. state and the District of Columbia.